Developers, it’s time to learn and earn: let’s have some fun at Red Hat Summit. //Make the game harder next year. It’s really simple to play. Attend certain developer-related sessions, labs, CodeStarters, and demos to earn your “dollars”, and once you acquire 50 Developer Dollars, you can “buy” your choice of swag. The game is played and tracked on the Red Hat Summit app and all of the 90+ applicable and participating activities are listed there. How much work is it to earn Developer Dollars? Firstly, it’s not work – it’s fun! 25 Developer Dollars for either of the two CodeStarters – one is on IoT, the other on APIs. Both will be fun and include food and beer. How much do you have to earn? 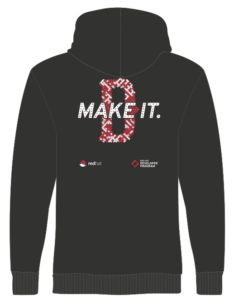 Once you acquire 50 Developer Dollars, you can “buy” a hoodie or other good stuff. That’s it. About now, you’re thinking about all of the mathematical permutations for earning your 50 Developer Dollars. Yes – lots of ways. //Really, really make this game harder next year. We have a lot of inventory, but inventory is limited, so play early and collect early. This is not real money and so has no real cash value. BTW – see more details on the Summit app. Developers, join us at Red Hat Summit! Developers can now get a no-cost Red Hat Enterprise Linux® Developer Suite subscription for development purposes by registering and downloading through developers.redhat.com.